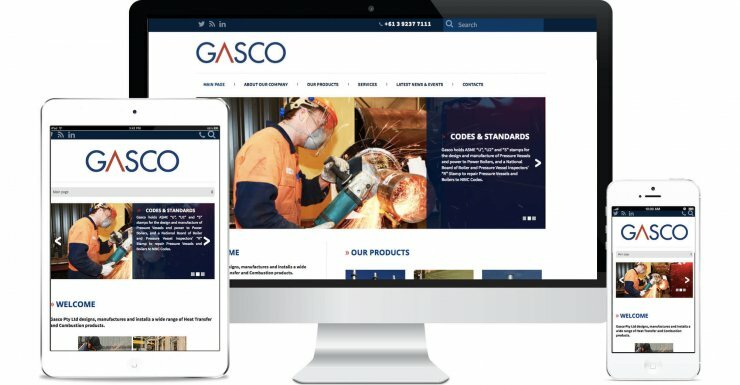 Gasco is an Engineering company specialising in the design, manufacturing and installation of a wide range of Heat Transfer and Combustion products. With growing international exposure on the Australia manufacturing industry, the company directors saw the need for a strong online presence – starting with a new website design and Search Engine Optimisation to improve their rankings on Google. WDM was consulted for the job, and we worked with company stakeholders to conceptualise a modern and professional web design to much positive feedback. The new website is custom designed on the Wordpress platform, allowing for easy content management, and powerful plug-ins for SEO purposes.